Water bores Joondalup are becoming a more common must-have as the area develops into a leafy northern suburb. Lush lawns and gardens are common. But all this greenery needs water to thrive. In previous times bores in the more elevated sections of Joondalup were simply unaffordable. However our modern bore drilling methods have made Joondalup bores more affordable. Water boring is now highly mechanised and most Joondalup bores are drilled in a day. 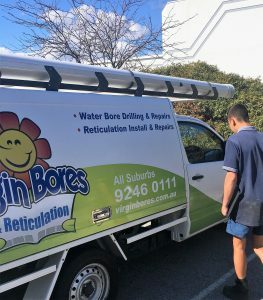 Modern water bores – Joondalup and surrounds, are essentially a cylindrical stainless steel submersible pump inserted in to a 100mm PVC sleeve or bore casing that has been drilled (bored) in to the ground, typically 12 metres into the water table. The pump is submersed under water inside this casing deep beneath the ground. The submersible bore pump silently and efficiently pumps water to the surface. 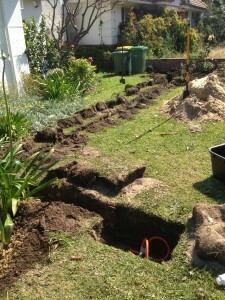 Normally the bore is connected in to a home owners automatic reticulation sprinkler system. This new submersible bore is being joined to an existing reticulation system. 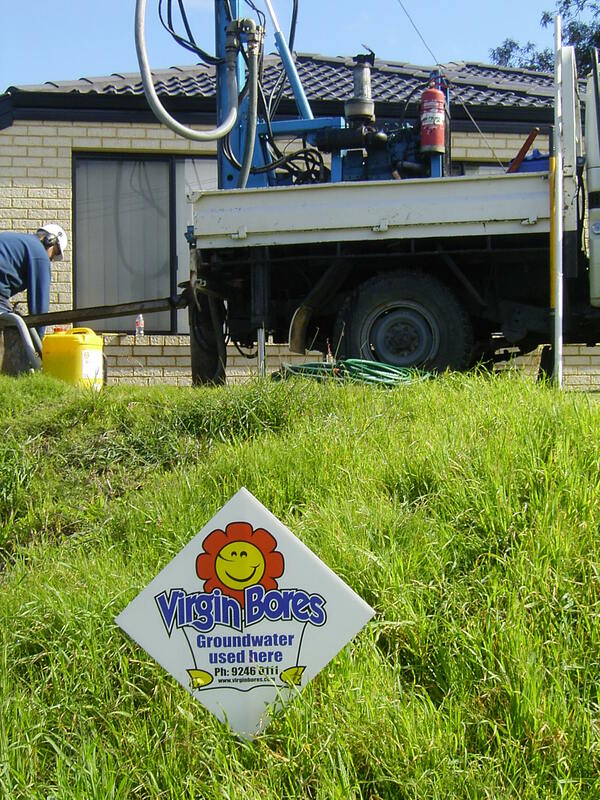 Virgin Bores can easily tell you the depth to water at your property from data derived from the Perth Groundwater Atlas and from our considerable Joondalup water boring experience. This enables us to give a written quote in advance of any work. The cost of Joondalup bores varies significantly and is fundamentally governed by how elevated the home is. Higher above sea level means deeper to water and more cost. Bores in Heathridge, Currambine, Edgewater, Joondalup, Beldon and surrounds typically vary in depth from 18 metres to 55 metres. It is mainly dependent on the properties height above seal level. Over towards Tapping, Banksia Grove, Mariginiup bores are typically drilled to the mid level of this range, whilst in Sinagra they can get as deep as 75 metres. Sometimes Joondalup water bore owners offset the cost by sharing the drilling and installation with a neighbour. The shared bore can be operated by each homes individual reticulation controller. 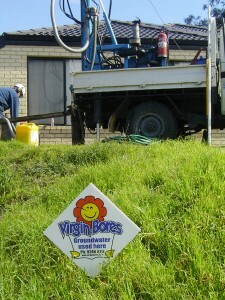 Virgin Bores have a vast local knowledge and over a decade of experience in the installation of Joondalup water bores. Call us on 1300 734 300 to get an idea of the cost for a water bore, Joondalup, Edgewater. Banksia Grove, Tapping and Currambine are amongst the most common local suburbs where we drill water bores. Of course if you already have a water bore, Joondalup, Heathridge, Currambine, Edgewater, Beldon. Banksia Grove, Tapping or surrounds and it is in need of service please call Virgin Bores on 1300 734 300. 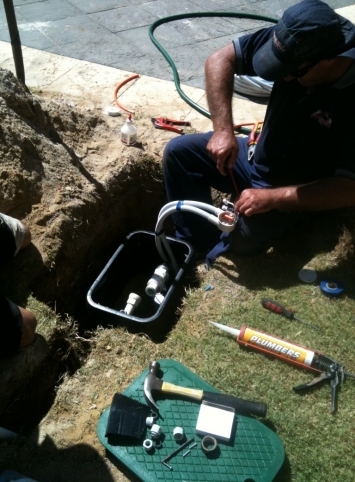 Our Joondalup bore service team and electrician has valuable local knowledge. Whether it is a modern bore with a submersible pump or the old well style with an ageing centrifugal pump we can fix it if anyone can. do insurance work on fused bore pump motors. Ready to fix Bores & Retic in the Joondalup area. If your bore is broken we can fix it!